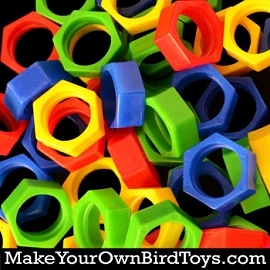 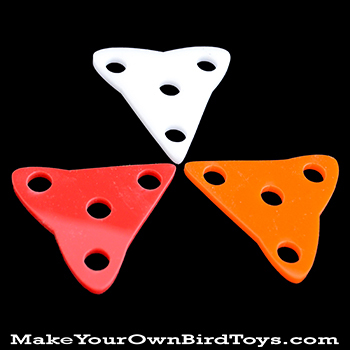 See where your imagination takes you with this Acrylic Triangle Base! 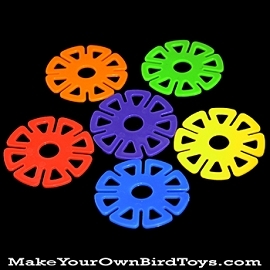 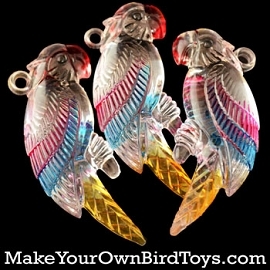 Use rope, leather, or chain and string your bird's favorite toy parts through one of four holes. 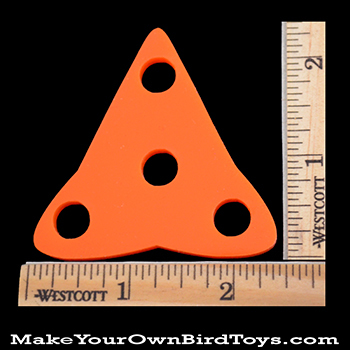 The Triangle measures 2-1/2" high and 3/16" thick, with the holes being 3/8".